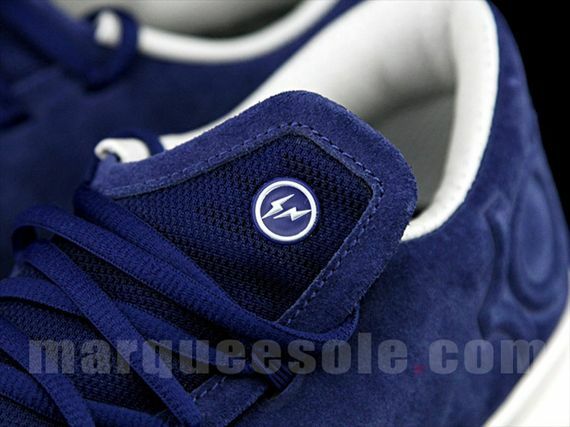 You have to hand it to Fragment Design, time after time they come out swinging with the hottest of the hot. 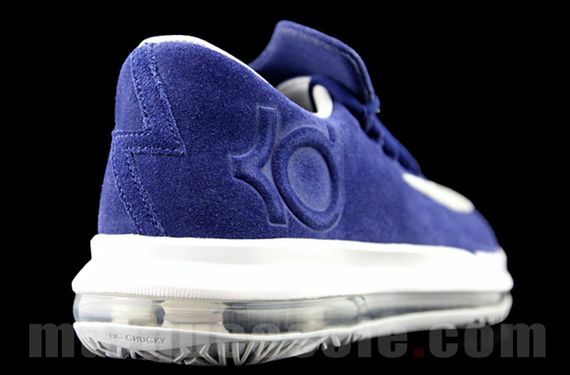 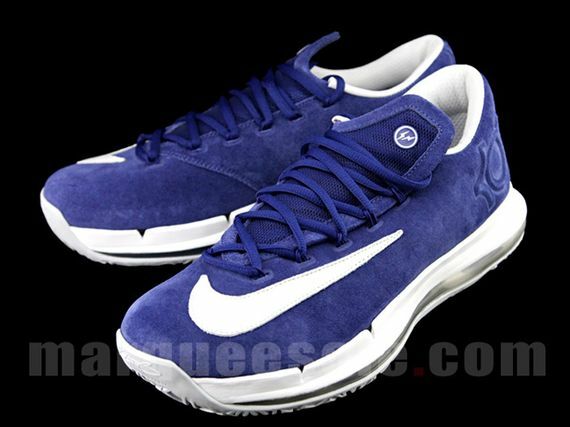 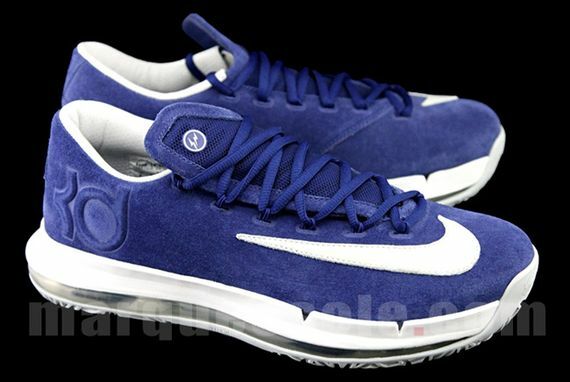 This time we see their clever eye take hold of the KD VI Elite, and the blue suede results would have Elvis himself throwing bands to grab a pair. 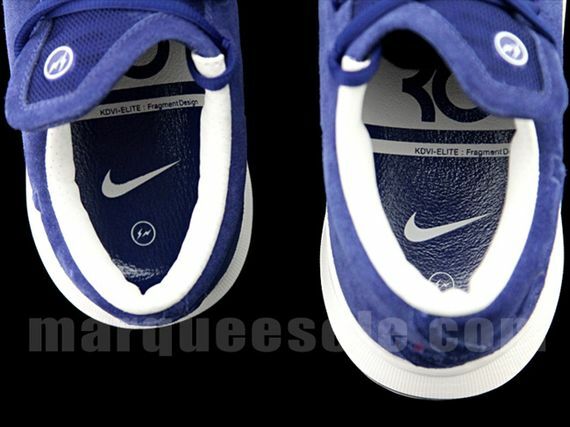 The blue and white look is clean, as you expect from Fragment, and is a nice lifestyle twist for the performance minded kicks. 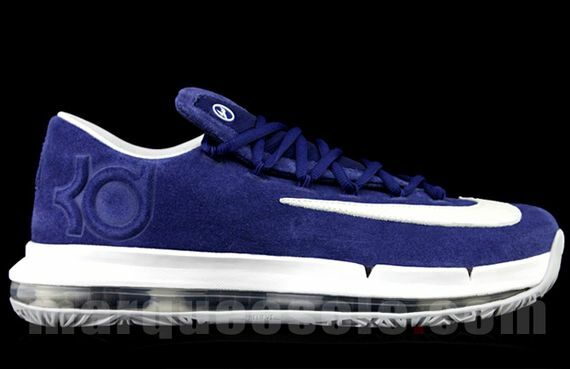 No news as to when they’ll actually release but we’ll keep you updated to the latest so stay tuned.